Looking for a quality AKC Registered, Champion sired yellow Labrador Retriever? Check out our latest litter. Watch them grow. 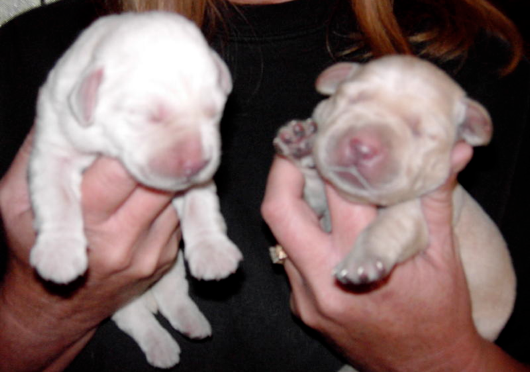 Here are a couple pups at only 3 days old.